Every family needs help sometimes, and grandparents can be the ones who make sure that children get the care and attention they need at stressful times. Two common occasions when grandparents step in are when a parent is ill and when a grandchild is born. Millions of grandparents have made the larger commitment of helping to raise their grandchildren. Some are custodial grandparents who have taken over the parenting role entirely. Some provide full- or part-time child care for their grandchildren, sometimes at considerable financial cost. Other grandparents fill in the gaps when parents are incarcerated, are serving in the military or are struggling with substance abuse. Research shows that in most cases children benefit when family members fill in the gaps in their care, especially when the alternative is going into the foster care system. A 2008 law recognizes that kinship care is usually preferable to institutional alternatives and makes it easier for grandparents to get custody of grandchildren. Sometimes helping out a family means providing financial help, but this scenario can get tricky. No grandparent wants to see grandchildren in need. Still, a grandparent who consistently bails out a profligate adult child is contributing to the problem. So is a grandparent who encourages a standard of living that the adult child cannot provide. Grandchildren require the necessities of life and an occasional splurge, but not having everything that they would like to have can build character. In most cases, grandparents are not required to make huge sacrifices or grand gestures. A grandparent may be called upon to pick up grandchildren from school, stay with them during minor illnesses or pick up items that they need. But even small acts of support can send a big message. These small acts say to the child, someone's got your back. You're not in this alone. When you need me, I'll be there. That's what it means to supply an extra layer of protection for grandchildren. Sometimes the stories are told while grandparent and grandchild are curled up in bed. Sometimes they are told around a campfire or around the dining room table. Telling family stories to the grandchildren can be an important grandparent function. Research shows that hearing stories about family members overcoming hardship can actually help children become less discouraged when they face hardships. Grandparents should also tell stories about their own lives. Whether they are informative, humorous or tragic, such stories can make grandparents more real to their grandchildren. Grandparents sometimes think that they have no interesting stories to tell, but everyone can tell stories based on these seven subjects. Storytelling is just one way that grandparents can share and preserve their family history. You don't have to be a genealogy enthusiast — although many grandparents are. One of the best ways to share family history is through creating a keepsake journal for grandchildren. There are a number of fill-in-the-blank grandparents' journals that make the process simple. Grandparents who would like a finished product that is more polished can check out the services offered by personal historians. Traditions also connect grandchildren to the past. They help children feel secure, give them a sense of family identity and let them know that they are a part of something larger than the individual. It's possible to hang on to a family tradition past the point of usefulness, but some traditions are worth preserving. And there is nothing wrong with creating new traditions to go along with the old. Much psychological pain is related to feeling isolated, alone, adrift and unconnected. Having a sense of heritage makes children — and adults — less prone to such feelings. In today's time-poor families, many skills go untaught simply because of a lack of leisure time in which to teach them. Grandparents are logical choices to pass on some of those skills. They tend to have more free time, and often they are more patient than stressed-out parents. Because they grew up in a less mechanized time, they have skills that some parents lack. And because they are concerned about their grandchildren, they'll be sure to teach how to do tasks safely. Older grandchildren can be taught more complex tasks, especially those that are in line with their particular interests. No matter what a child's interests, however, certain practical skills are always appropriate. 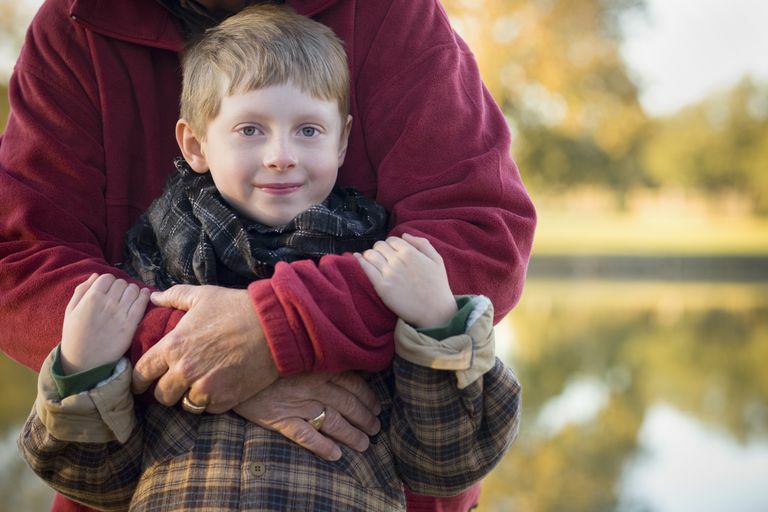 Grandparents expect to love their grandchildren, for the most part. They plan to dote on them and spoil them a bit. They may not have expected the powerful and immediate bond that many grandparents feel with a newborn grandchild. They may not have been prepared for the overwhelming surge of unconditional love. Parents are the most important source of unconditional love, but parental love can be complicated. It tends to be all bound up with hopes and expectations and ambitions for children. Sometimes parental egos get involved. Grandparent love is a little simpler. We've lived long enough to know that human lives seldom go in a straight-line trajectory toward success. We all falter and fall back, and at those times we need a little extra love. A close relationship with grandparents helps grandchildren grow in confidence. It makes them feel worthy. It gives them security. Contrary to popular opinion, grandparents don't always spoil their grandchildren, and we don't always think that they are perfect. Often we feel that modern children need a little less attention and a little more discipline. But none of that alters the unconditional love we feel for our grandchildren. We would fight tigers for them. Travel With or Without Parents?